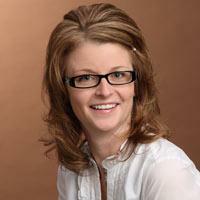 Teddi Mueller joined the South Dakota Corn staff in 1999. In her multi-faceted job, she coordinates educational programs, the SDCGA’s annual meeting, the Corn Cob Open golf tournament and other events. She leads all state legislative efforts for the SDCGA, representing South Dakota corn producers on key issues. She tracks legislation and coordinates lobbying efforts. She formed the CORNPAC and administers the funds for that political action committee. Teddi is also in charge of fundraising, promotion, marketing and membership campaigns. She sits on several industry boards and committees, representing the SDCGA and SDCUC. The South Dakota native has a bachelor’s degree from Black Hills State University and worked at JD’s House of Trophies before joining South Dakota Corn. When she’s not working, she’s on the run with children’s activities, which include football, basketball, baseball, softball and violin performances. Teddi and her husband, Jay, live in Sioux Falls and have four children: Logan, Halie, Millie and Garvey.